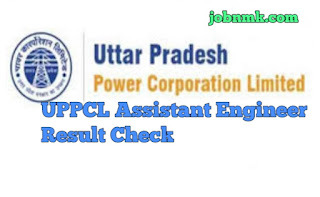 UPPCL Assistant Engineer Trainee Result. Uttar Pradesh Power Corporation Ltd. (UPPCL) has Issued the Result of the Post for Engineer Trainee (Electrical, Computer Science, Civil Engineering) Recruitment exam 2018. Those Candidates Who had applied for the UPPCL Assistant Engineer exam Can download their Results by just reading the details given as we below. Click on the link as we given below. You will see a pdf will open, find your Name or Roll no. or Result in the provided pdf file. Take a printout for your result for future reference. We hope now you are aware how to check Exam Result. Allahabad High Court UPHJS Mains Admit Card 2019 Download.